A book I've read more than three times... 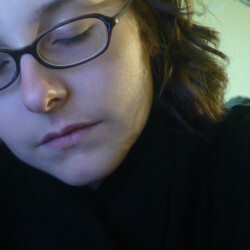 This one is tough, because I seldom re-read books. 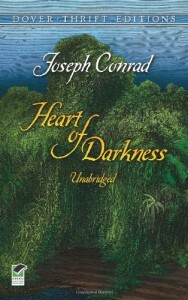 For various courses in high school and college, I ended up having to read Joseph Conrad's Heart of Darkness three times. When I read it for the first time I thought it was boring and kind of weird (I was in high school, so I thought most things were boring and kind of weird). But in college I read this book for two classes both dealing with postcolonial literature, and the book started to mean so much more. The juxtaposition of black/white, good/evil, sanity/insanity is fascinating to me now. What I thought was weird about the book in high school, I actually came to love. The quiet, yet deeply disturbing manner in which Conrad describes Kurtz's descent into madness is timeless, even if the worldview of Africa is clearly outdated. That same timelessness is proven in the movie based on the plot, but not the setting, Apocalypse Now!